The Swivel Bath Seat from Safety First gives baby extra support to sit in the bathtub safely while leaving parents’ hands free to bathe them. Its unique 360° swivel action lets parents gently turn the baby to wash those difficult-to-reach areas, while the rotating ball in a child-friendly color keeps the baby entertained. 4 independent suction pads on the base keep the Swivel Bath Seat stable and secure. 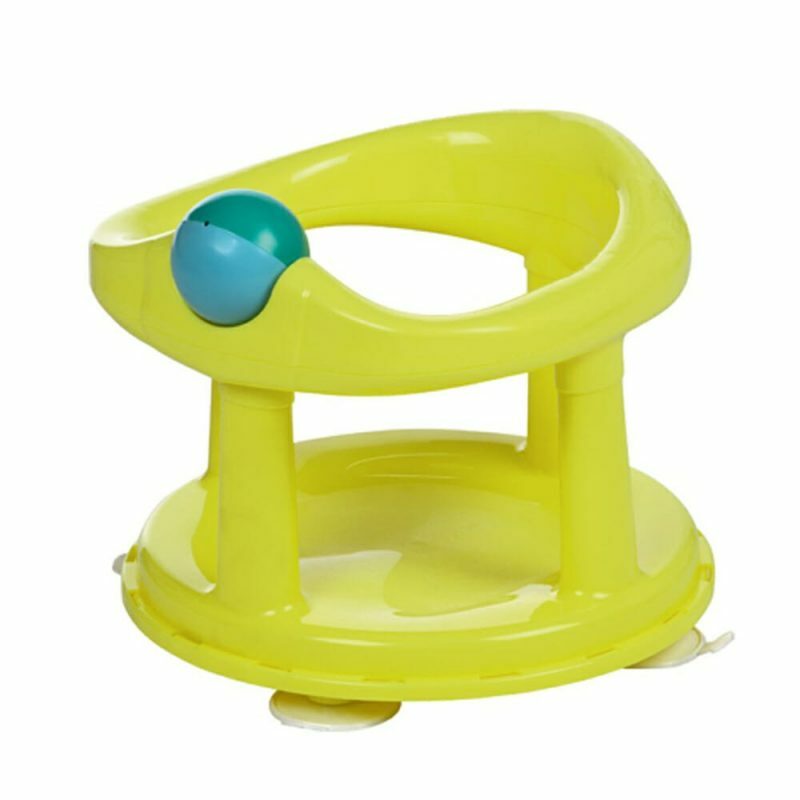 Parents can use it as soon as baby can sit on his own, usually at around 6 months.